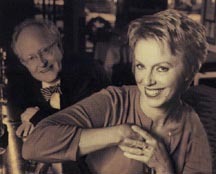 ALISON BROWN won the Grammy award for Best Country Instrumental Performance on the song Cottondale, from her album FAIR WEATHER. 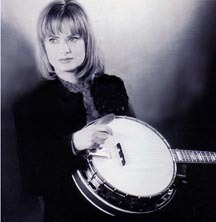 She is also the only female recipient of The International Bluegrass Music Associations' Banjo Player of the Year Award. With Aliso's spritely and happy banjo picking plus backup from acclaimed musicians such as Bela Fleck (on banjo, as well), Sam Bush (on mandolin), Stuart Duncan (on Fiddle), David Grier (on guitar), Todd Phillips (on Bass), and even a vocal with Vince Gill, this album is more than just bluegrass. The song Girl's Breakdown was used to wake up the astronauts on the space shuttle Destiny. Alison wrote the song for her friend and Astronaut Marcia Ivins, sending the music of the hill country into space. She wrote many of the songs on this hit album, which reached number three on the Bluegrass Charts. As a teenager raised in Southern California, Alison entered a Banjo/Fiddle contest at Knott's Berry farm, teaming up with friends Stuart and Steve Duncan, Vince Gill and Gene Libbea. Needless to say, they won. 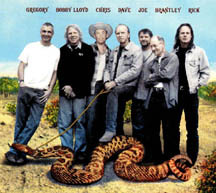 The song Fair Weather was written by Stuart's brother Steve, who later died in a plane crash. Now living in Nashville, Alison nevertheless comes back to our neck of the woods to grace our hills combining different elements in music with her uplifting banjo and has indeed brought FAIR WEATHER to the skies wherever she goes. MOTS D'AMOUR (Words of Love), the songs by Cecile Chaminade was released on Deutsche Grammophon Records, sung by Anne Sofie von Otter with Bengt Forsberg (performing on piano), Nils-Erik Sparf on violin), and Peter Jablonski (also on piano). Cecile Chaminade lived from 1857 to 1944, one of the French romantic music writers of her day, writing over 400 compositions. She began composing when she was eight years old. The legendary writer Bizet called Cecile 'his little Mozart'. Much of her young composing was influenced not by Saint Saens or Faure, but by the folk culture of her native France. She wrote many character pieces and would travel between England and France performing for Queen Victoria on many occasions. It was unusual for a lady to be so independent and successful in the Victorian Era. One of the few women of her day to achieve critical acclaim as a composer, Cecile always lived alone, declaring, "My love is Music, I am it' nun, its' vestal". In 1907 and 1908 she played 25 live concerts here in the United States, which firmly launched her on a career that became immensely popular on this side of the Atlantic. Anne Sofie von Otter approaches this work, which seems to be her forte, with her impressive mezzo-soprano voice. A respected much sought after soloist, she won the international critics Award for Singer Of The Year in 1995. Her perfect tonality is joyous in its confident expression. Many pianists have difficulty playing Cecile's music. However Bengt Forsberg easily conquers this mountain of material. All of Cecile's music is harmonically interesting because it makes the piano ring with intensity. Much of the music is bitter-sweet in its performance with melodic inventiveness. On Anne Sofie von Otter's last album on Deutsche Grammophon she performed modern compositions by people such as Brian Wilson of the Beach Boys and Burt Bacharach. That album's producer was Declan MacManus, who is also, by the way, known as Elvis Costello. I highly recommend this album, MOTS D'AMOUR because of its passion and the purity with which it is delivered. The material (some of which has never been performed in public since the 1860's) is as stunningly romantic now as it must have been then. 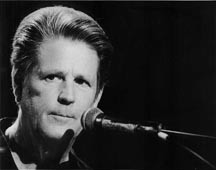 BRIAN WILSON- Being a great songwriter / producer and providing the public with musical happiness and joy has long been Brian's strong suit. It looks like he's wearing it again. After a long period of introspection and psychic healing, Brian is younger than he's ever been on this latest release on BriMel Records, titled: BRIAN WILSON- Live at the Roxy Theater. He's rearranged and produced some of his best material to fit his voice with its' now famous falsetto. This is a performance that was recorded before a crowd of 500 people at the Roxy, including Nancy Sinatra, Lindsey Buckingham (of Fleetwood Mac), Peter Buck (of R.E.M. ), Jackie De Shannon, Bette Midler, members of The Cars, Tom Petty and the Heartbreakers, Jon Brion and others. His friends and relatives gathered to hear the legendary Beach Boy sing his best and some of his newest songs. 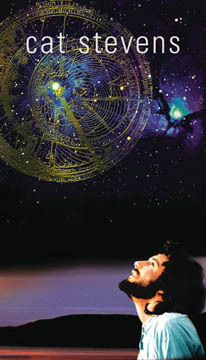 On the spiritually oriented tune The First Time, the song brought tears to my eyes. This Isn't Love, co-written with Tony Asher, who also helped Brian write Pet Sounds, has been included in the Flintstones movie. Till I Die and the inspired Love and Mercy are some of the high points of the CD. The song called Lay Down Burden is a heartfelt goodbye to his beloved brother Carl who passed away a few years ago. The Wondermints are the band that Brian hired to support him on tour. They provide a great background to this two CD set. They also perform the hit which the group Bare Naked Ladies wrote as a salute to Brian, titled, appropriately, Brian Wilson. Brian has something so emotionally deep within him that,when released, helps the world to become a better place. The flawless vocal arrangements and harmonies once again sent chills down my spine. Brian, we are grateful and blessed to have you in our world! The Beach Boys received a Grammy Award for Lifetime Achievement on Feb 21, and PET SOUNDS (the album which inspired The Beatles to write Sgt. Pepper), has finally gone Platinum after all these years. Capitol will soon be re-releasing a 60's album containing two discs full of classics, alternate takes, B-sides and rarities. In November of 2001 A& M Universal Music released CAT STEVENS' four CD Boxed set. It includes his classics, re-mastered, plus11 tracks of never before released tunes, early demos, outtakes, 'B' sides, and one song from a newly recorded record on his own Mountain of Light label. Cat started making his own records when he was in his late teens, becoming known as a singer/songwriter par-excellence. His first hit songs were Matthew and Son, I Love My Dog, and The First Cut is the Deepest, which was later re-recorded by Rod Stewart, making it an international hit for the second time. It also includes a song with a very young Elton John on the piano, called Honey Man. During that period he had a relentless schedule recording, songwriting and playing three shows in a day. Just as he was just turning twenty he came down with Tuberculosis. For approximately 15 months he was forced to shift gears, becoming more contemplative in the process. Cat says that it was in this long period of recuperation that he wrote his great classics, such as Wild World, Morning Has Broken, Father And Son, and Katmandu (in which Peter Gabriel plays the flute). At that time he also wrote what is probably his life's theme song titled, Where do the ChildrenPplay? At the height of his second career (after his bout with TB) he had reached a plateau where he was one of the kings of FM airplay in America. He was rich, young, and very popular. And yet, at the pinnacle of success, he felt somehow empty inside. To quote Cat Stevens himself, he said, "Hold on a minute Ð This is not what I thought it would be!" One day, visiting a record label executive on the beach in Malibu, he swam out too far and got caught in a strong current. Fearing for his mortal life, he cried out to God, "If you will let me live, I'll serve you." God answered his prayer. The current changed and he got safely to shore. Since then, being a London native, Cat Stevens has founded four schools for children in his hometown. During the recent war in Kosovo he contributed hundreds of thousands of dollars to help the refugee children in that war-torn part of the world. Previously, this new 4 CD boxed set was due to be released in September of 2001 . Due to the circumstances that occurred in NY on Sept 11th, he held up its' release and has decided, with the record company, that the proceeds from this boxed set shall be donated to children in N.Y.C. He has set up a charitable foundation called Small Kindness, which deals with children's rights worldwide. This boxed set is absolutely beautiful, and perfect for anyone interested in Cat Steven's music. With its' 96 page booklet (which includes a special essay by Cat Stevens, himself) there are notes on every single recording of the album, making this the ultimate Cat Steven's collection. A giant super-nova of musical stardom, Cat Stevens hasn't toured since 1979, but has been busy raising his family and overseeing his schools in London. He has journeyed from being a pop musician to search for that higher part in life, which is undying. His deep insight into the human condition is expressed so astutely, and felt so deeply that his appeal is universal, combining the best elements of folk, pop and world music, perfected into a unique blend all his own. I wouldn't call DAVE ALVIN's music rock 'n' roll or the Blues, though those influences exist in his writing. He seems to be a Cowboy in search of the West. 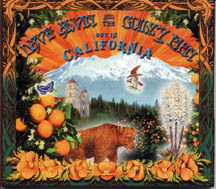 DAVE ALVIN's album OUT IN CALIFORNIA, from Hightone Records was recorded live at the Blue Cafe in Long Beach, The Neighborhood Church in Pasadena, and the Lobero Theater in Santa Barbara, co-produced by Mark Linett. The reason Dave recorded this album live is because as he says, "Occasionally I make records, but what I do is play live." Evidently, since he has spent the last 20 years of his life touring. It must be something that Bob Dylan saw in him when he asked him to tour with him as his opening act. Dave Alvin takes his vast knowledge of the Blues, Rock 'n' Roll and Country, and instead of imitating, he completely creates a new feeling, refreshingly vital, and talks about what he knows best. With artistic integrity he arranges lyrics in a wonderful way. Dave stands on the stage, guitar in hand, and seems to step into one adventure after another. The song Blue Boulevard really spoke to my heart. 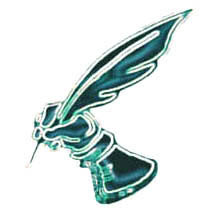 He knows the emotions he writes about because they are his true feelings. If Woody Guthrie were still alive and singing in California, I'm sure they would be friends. In Feb. 2001, Dave won a Grammy for best traditional Folk Album. As a song writer, performer and record producer, his career began young, when he dropped out of Cal State Long Beach, to form The Blasters with his brother Phil (of which a 2 CD set is available from Rhino records). Dave and Phil were so interested in the Blues that they'd go to South Central Los Angeles to hear Lightning Hopkins, Big Joe Turner, or T-Bone Walker play. One of the leading music critics of the Los Angeles times compared The Blasters to Creedence Clearwater Revival. Even so, Dave turned down director Walter Hill when he was offered the chance to write a song for the movie 48 HOURS with Eddie Murphy, sensing it would lower his artistic integrity. However that didn't hold him back from success. Dave produced Christy McWilson's album Bed Of Roses for Hightone Records, and has a song recorded by Dwight Yocum, titled Long White Cadillac, that has allowed Dave to collect royalty checks, and continue with other projects. Though a resident of Silverlake he spends most of his time touring. OUT IN CALIFORNIA is a great opportunity to 'see' him play live. 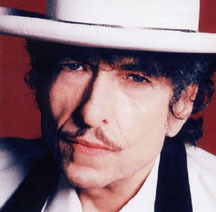 Not only is Bob Dylan now 60 years old, but this prolific genius released his 43rd album, titled LOVE AND THEFT. It was produced by Jack Frost, featuring the guitar talents of Larry Campbell and Charlie Sexton, with Tony Garnier on Bass, David Kemper on Drums and Augie Meyers on the Accordion, the Hammond B-3 and the Vox Organ. One of the most fascinating things about Bob Dylan, as a singer/songwriter and performer, is that aside from being extremely prolific he reaches into the very heart and soul of the psyche of the world. He has also become his own invention. Starting out 60 years ago as Robert Zimmerman from Hibbing, Minnesota, he metamorphosed himself into Bob Dylan, who is constantly changing, growing, and evolving (for example, the album was produced by Jack Frost, another alias for Dylan himself). Dylan is profound in lyric and thought with a heart that seems to encompass the whole of humanity in its' struggles. He has been given a platform of power through his speech which move others to action. A mere suggestion from him onstage that we remember the plight of the American farmer inspired Willie Nelson to Start FARM AID. Another time he wrote a song called Hurricane, talking about a man named Reuben 'Hurricane' Carter, who was falsely imprisoned, for murder. Bob's song about Hurricane got people's attention, which cleared away the cobwebs and eventually led to his case being reopened and Carter being freed. Carter now works with a group of lawyers whose only function is to look into cases like his own. Dylan's song helped a man get free, and that man is now helping others to gain their freedom. Through Dylan's unique viewpoint and take on life, we do see our own lives differently. He has been relentless in his search for truth, freedom, and justice. In turn, his position as a speaker to the world causes us to turn, stop, and think. He, like a Paul Revere of song, awakens people to see the truth approaching whether we like it or not. With this album Bob proves that he's lost none of the verve, wit and rich imagery that started with albums such as Highway 61 Revisited and Blonde On Blonde. 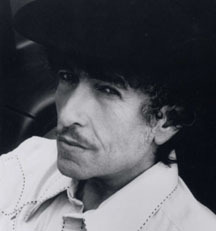 Years ago he became well known for his song called The Times They Are A-Changin'. Just last year he won an Oscar for his song, Times Have Changed. Dylan's voice is refining itself as we can hear his music exploring new avenues in vocal phrasing and expression. This icon of American music is not stuck in the past somewhere, but is still a dynamic force, progressing to reflect our changing world, which this album aptly demonstrates. The way Jim Brickman uses the keyboard to express his emotions is one of the things I really enjoyed about his record, DESTINY, on Windham Hill Records. When this artist was a young boy, back in Cleveland, Ohio, his mother was a librarian, and his dad a stockbroker. At four years old, as Jim likes to tell the story, he asked for a piano, and his parents didn’t take him seriously. They only had 5 record albums in the family, anyway. One of the 5 was Herb Alpert and the Tiuana Brass, which he liked the best because of the girl in the whipped cream on the front of the record. On the 4th cut, by the way, Jim performs with the legendary trumpeter, Herb Alpert himself. The fact that this young man’s parents didn’t take him seriously at the age of four obviously didn’t stop him. The way Jim tells it, his mother made him a ‘keyboard’ with a piece of green felt, with all the notes drawn in magic marker. He practiced at it for two years. His parents, finally realizing he was serious, let him take his music from the felt to a real keyboard, and bought him a piano when he was ten. So as the young pianist and composer grew into manhood, he started doing jingles for ad agencies. Jim Henson had heard some of Jim Brickman’s work on the ad agency material, which led to Jim Henson asking Jim to compose music for the muppets. 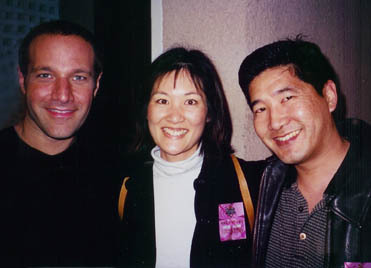 During the course of Jim Brickman’s show at the Wiltern Theatre the other night, someone from the audience yelled out, "Do the Rainbow Song!" and he broke into the song requested. Again, the little boy with the felt piano jumped from the felt to the top of the charts. The audience was delighted. Jim’s last three record albums have all certified Gold. On most of his albums he includes a children’s song, paying homage to his first keyboard, when he was a child. On his current release he duets with Carly Simon, on Hush Little Baby. Jim says, at some point in time, he wants to release an album exclusively of children’s songs. Pam Tillis and Michael W. Smith also appear on the album. His music creates an atmosphere of peace, with swirling arpeggios and beautiful melodies . A Doctor friend of mine, who has every one of Jim Brickman’s albums, listen’s to his music to calm himself down in the midst of his most hectic schedules. With his new record destiny, Jim reaches a new milestone in his career. His fluid piano playing accentuates his heartfelt composing. The little boy who was patient 'at the felt' is in the process of becoming whatever his dreams may be.